Self-described socialist Seattle City Councilwoman Kshama Sawant is being sued for defamation by two police officers who were involved in the fatal shooting of an armed convicted felon in 2016 because she allegedly called the slaying a “brutal murder” that resulted from “racial profiling,” the Seattle P-I.com reported. 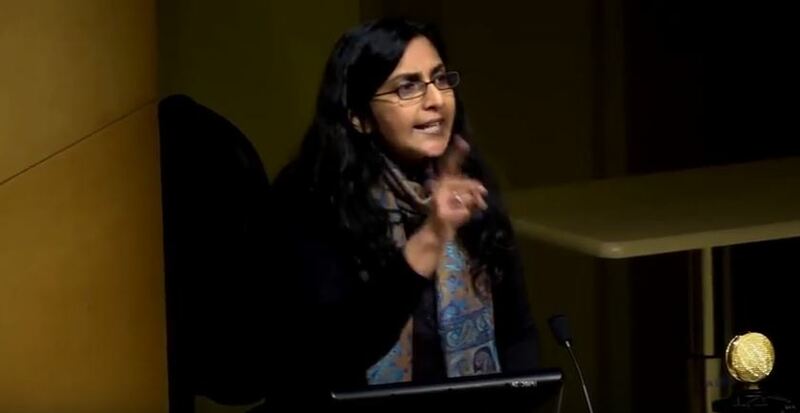 Sawant has made national news on several occasions because of her outspoken views. The complaint, filed by officers Scott Miller and Michael Spaulding, alleges that Sawant made those statements in “an effort to cement her ‘socialist folk-hero status’,” the newspaper reported. Former Washington State Attorney General Rob McKenna has some observations about this case at MyNorthwest.com. The officers were involved in the shooting of Che Taylor, a known felon, who turned up at the scene of an effort to serve a “high-risk warrant” in February 2016. That shooting was captured on video by Seattle police, and later released. Taylor was allegedly reaching for a handgun that was found on the floor of a car he was standing next to at the time of the shooting. He had been observed carrying the pistol in a holster prior to the incident. As a convicted felon, he could not legally possess a firearm. According to KING, Sawant is being sued as an individual. The city is not named in the complaint. This could set an interesting precedent if an elected official is held personally liable for making defamatory statements against public employees. The officers reportedly do not want a penny of public money. Sawant was not the only one insisting that Taylor’s death was murder. Following the shooting, the president of the local NAACP chapter, Gerald Hankerson, said, “This was cold-blooded murder…It was clear to me that (police came) with the intent to kill, not to arrest,” the Seattle P-I.com reported at the time. An inquest cleared the officers of any wrongdoing, the online newspaper noted. KING reported that Sawant did not immediately respond to requests for a reaction to the lawsuit. The complaint said she had been given the opportunity to retract her statements, but did not. Sawant has been occasionally criticized by Seattle-area conservative commentators.